Excellent for all types of laundry, including white and colored linen. 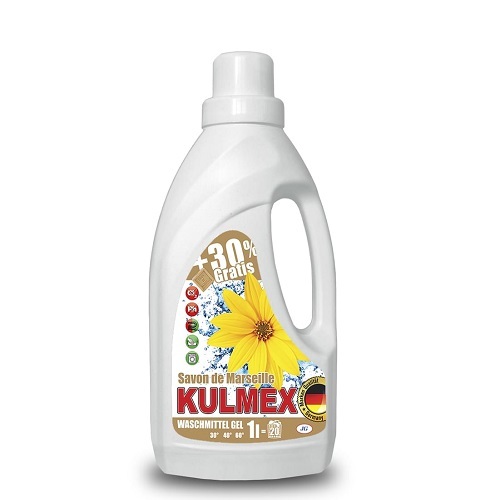 The detergent is suitable for use on all washing machines as well as for hand washing. Very soluble in water and can be completely rinsed off. Very effective even for heavily soiled laundry and removes any stains. Phosphate free. Not suitable for washing wool and silk.